Here is a new piece, just started. We'll see how it develops... or if it does. Hello, Michael. Glad you visited my site, Art Musings. 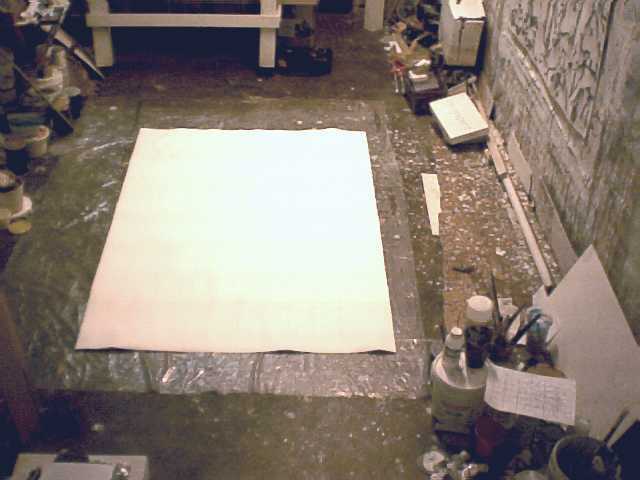 This is the first time I have seen the "real" beginnings of a painting. Good luck. Hi Michael, trying to get a sense of scale. Is that a drinks flask in the foreground? Thanks Joyce. Should be doing some more work on it today.